Bikele Bhorer Phool Zee Bangla Serial Title song lyrics with video. The song is sung by Dipannita. Starring Amitabh Bhattacharjee As A Main Male Lead Role And Sudipta Chakraborty Acting As A Main Female Lead Role. This Serial Starts On 27th february 2017 Every Monday To Sunday At 9.00 PM pm Only On Zee Bangla. 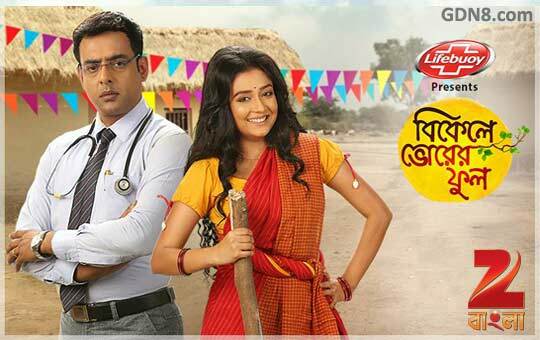 Bikeley Bhorer Phool The show is about Doctor Subhankar And Village girl Moyna high-spirited, fun loving Serial.